Home / ANIMATED FILMS / Animated Short "Sanjay's Super Team" to Play in Front of "Good Dinosaur"
Animated Short "Sanjay's Super Team" to Play in Front of "Good Dinosaur"
Continuing with the beloved Disney tradition of playing animated shorts before the main feature, Disney-Pixar's upcoming “The Good Dinosaur” will be preceded by the new animated short film “Sanjay's Super Team” when the former opens in Philippine theaters on November 25. 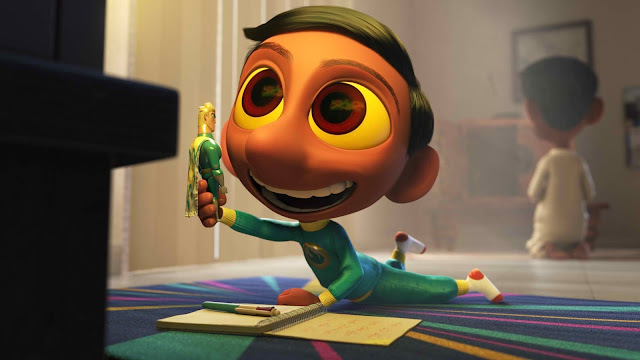 In “Sanjay's Super Team,” the new short film from Pixar Animation Studios, accomplished artist and director Sanjay Patel uses his own experience to tell the story of a young, first-generation Indian-American boy whose love for western pop culture comes into conflict with his father’s traditions. Sanjay is absorbed in the world of cartoons and comics, while his father tries to draw him into the traditions of his Hindu practice. Tedium and reluctance quickly turn into an awe-inspiring adventure as the boy embarks on a journey he never imagined, returning with a new perspective that they can both embrace. 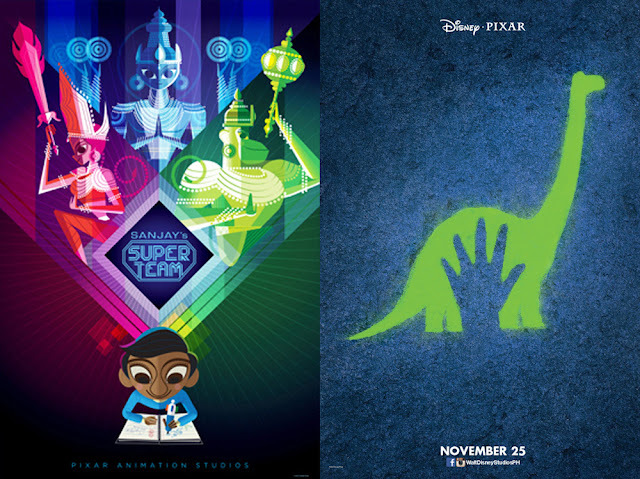 Sanjay Patel joined Pixar Animation Studios in 1996 as an animator on “A Bug’s Life.” Since then he has animated on many of Pixar’s feature films, including “Toy Story 2,” “Monster’s Inc.,” “The Incredibles,” “Ratatouille,” “Cars,” Toy Story 3” and “Monsters University.” In addition to animating, Patel also storyboarded extensively for “Monster’s Inc.,” “The Incredibles” and “Toy Story 2.” For the Cars Toons “Mater’s Tall Tales,” Patel stepped up to act as animation supervisor on many of the shorts in the series. Growing up in San Bernardino, Calif., in a Gujarati family, Patel’s earliest artistic influences stemmed from two very different worlds: comic books and Saturday morning cartoons, and the Hindu gods and spiritual culture that came to define his upbringing. 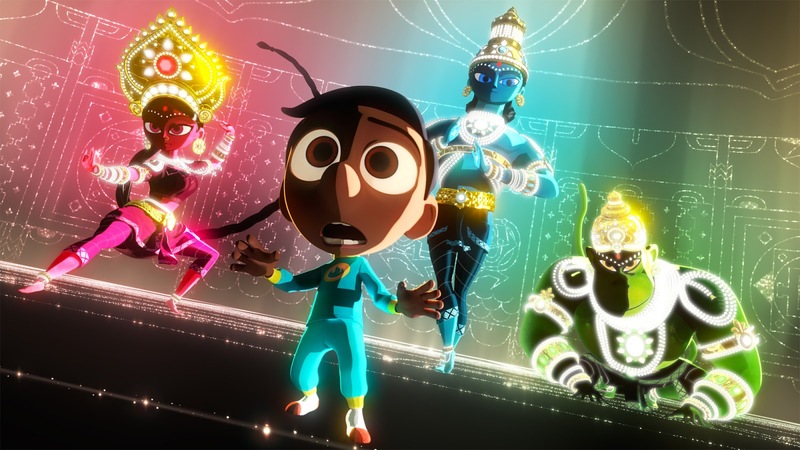 After pursuing his artistic interests at the Cleveland Institute for the Arts, Cal-Arts and Pixar, Patel eventually turned his attention back to his roots, creating art, graphic novels and picture books that re-envisioned Hindu mythology in a modern, pop-culture way. “Sanjay’s Super Team” is Patel’s personal story and a “mostly true” chronicle of his journey to understand the Hindu world so important to his parents. Patel resides in Oakland with his fiancé and their son. Opening across the Philippines on Nov. 25, “The Good Dinosaur” is distributed by Walt Disney Studios Motion Pictures International through Columbia Pictures.Follow the official social media accounts of Disney in the Philippines, namely, (FB) WaltDisneyStudiosPH, (Twitter) @disneystudiosph and (Instagram) @waltdisneystudiosph and use the hashtag #GoodDinoPH.